Who will join us on the spring meadow? Babies just love to explore the many inhabitants such as a flower with mirror foil, riveting crackling components and a large, removable rattling ring. 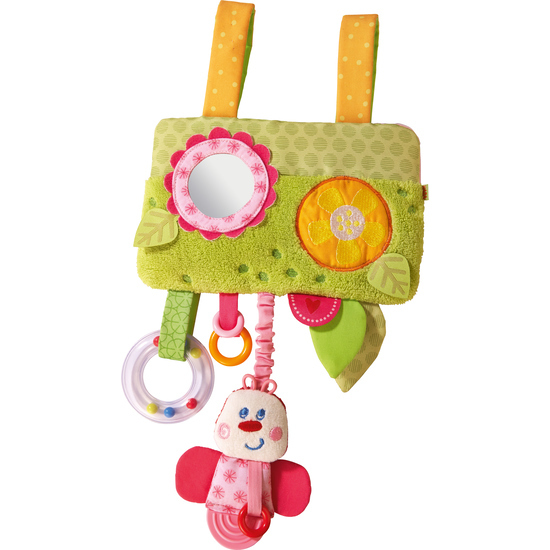 The adorable butterfly figure with squeaker and teething element add to baby’s fun!